Wine of France.This White Burgundy comes from the Maconnais region south of the Cote d'Or. Founded in 1929, the Cave des Grands Crus Blancs is today one of the leading producers of Pouilly-Loché. 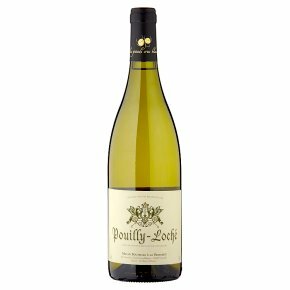 Made from Chardonnay grapes grown around Pouilly-Loché, neighbour of the famous Pouilly Fuisse, this wine continues to offer exceptional value. Crisp and dry, with flavours of citrus fruit, it is elegantly balanced and complex, with good concentration and a creamy texture. It finishes clean, with a nice streak of minerality typical of the region. The perfect accompaniment to all fish and shellfish, roast chicken, turkey, pork and soft cheeses.